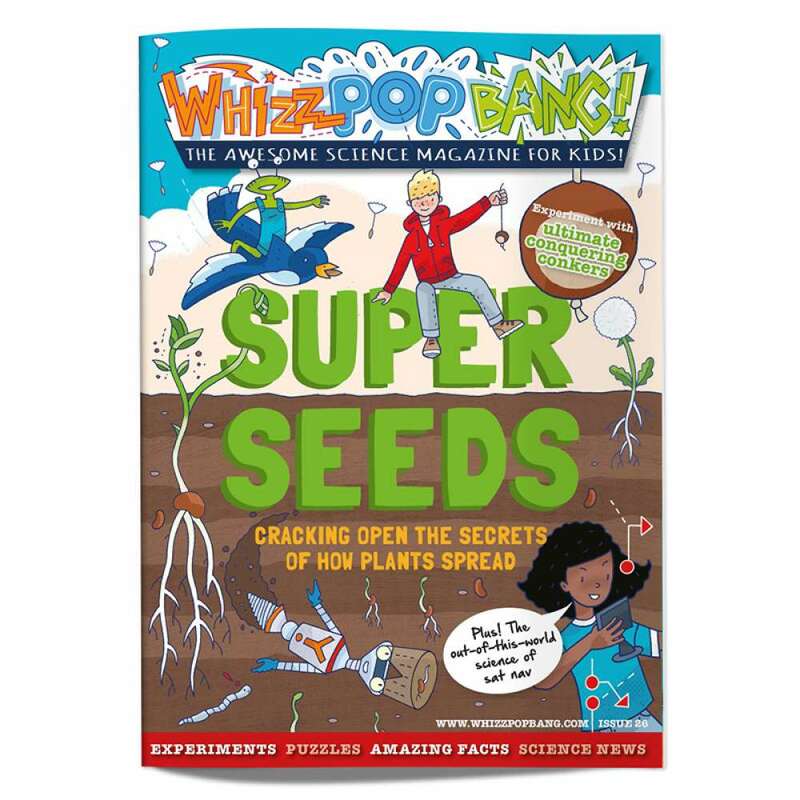 In issue 26 of Whizz Pop Bang, we’re looking at seed dispersal – imagine being fired away from your parents in a green slimy liquid! 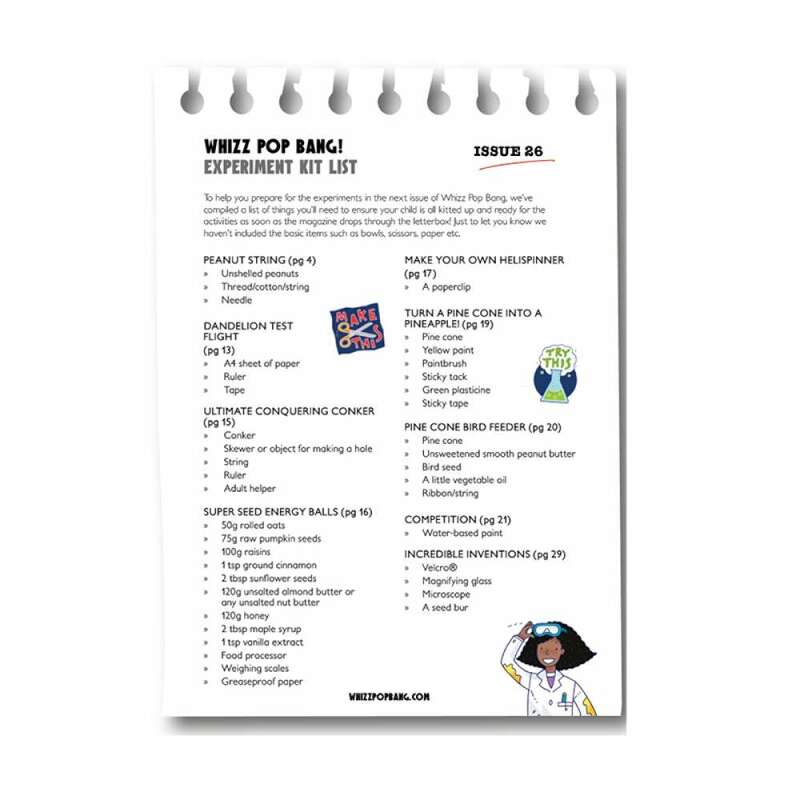 Yes, seeds have all sorts of weird and wonderful ways of getting away from their parent plants. This issue you can try modelling dandelion seeds, making your own pinecone bird feeders and experimenting with a sycamore seed heli-spinner. 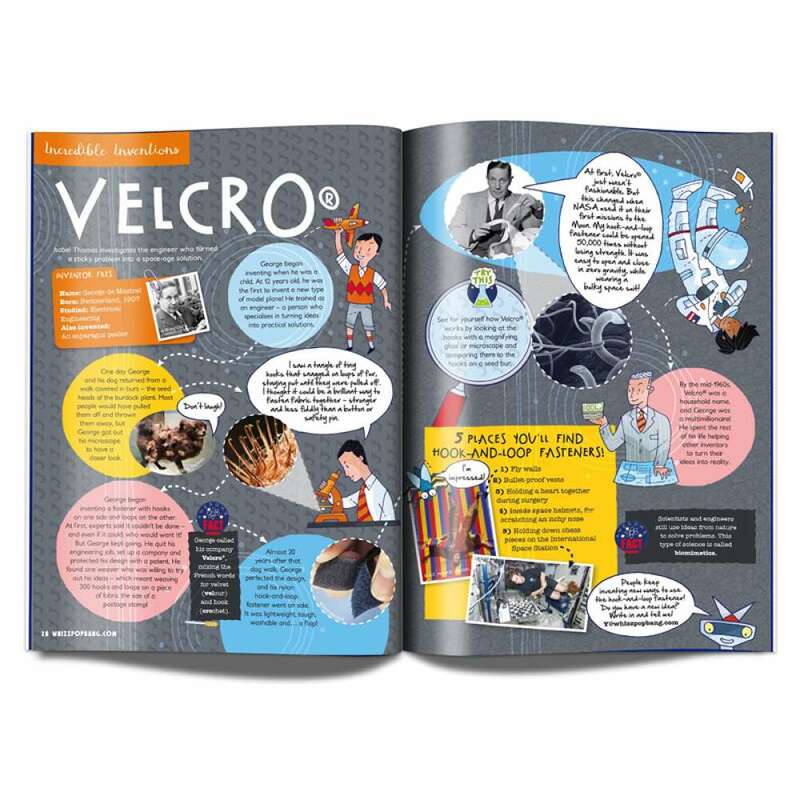 Find out about the history of the invention of Velcro, which was inspired by nature's own burs and take a peek inside a top-secret seed bank buried deep inside an arctic mountain.